We've been super busy in the field these past few months. Conducting SME partner events around Greater Accra to promote our service and drive App adoption, meeting with small business owners to hear and watch first-hand how they use our mobile App and building more banking partnerships to grow our offerings. We've also recruited additional Talent - in Operations & Technology - and have been putting our investment funding to work by further developing our product and continuous adoption activities. During Q1'18 we've seen a monthly increase of downloads of our App and we're receiving a steady flow of applications for financial services. Since we launched our MVP last August, we released 6 new updates to the Android App and 3 updates to the cloud portal, allowing us to respond flexibly to the expressed needs of our bank partners and business owners. Our focus for 2018 is to grow our product and service offerings by bringing on 4-5 more financial service providers in Ghana, begin offering insurance products, start exploring expansion to a 2nd West African country and raise a Seed round of funding. Read on below to learn more about what we've been up to & our impact to date. We look forward to hearing from you and we'll continue to share our newsletter so you can follow our progress and impact. As of March 2018 we've had over 600+ downloads of our Bloom Impact application, with over 80% active usage and several hundred applications from small business owners. To-date 65% of applicants are women and 58% have never had a formal bank account. Our App also educates SMEs about credit reports and scoring, factors most know nothing about, and we have also helped some business owners resolve disputes and discrepancies negatively affecting their credit reports. We recently signed on another financial service provider (FSP) that shares our mission to drive inclusive finance for SMEs, Advans Savings & Loans. Along with our other FSP partners, we now currently offer about 40+ products on our marketplace ranging from working capital, asset financing,lines of credit to savings and current accounts. Active discussions are underway with several other FSPs in Ghana and we aim to bring them on board in Q2 and expand our offerings. Meet Frank, a recent Bloom Impact customer. Frank has overcome multiple personal and professional struggles to grow his now successful barber salon. He has so many customers, many coming from far away, that most days Frank works with his staff from 7am to 11pm. 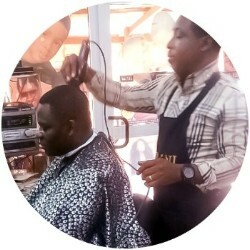 He wanted to grab an opportunity to open a 2nd shop, closer to some of his clients, and in another busy area of Accra. But to do so he needed a loan and being so busy with business, he didn't have time to go around to banks to inquire about loans. So when he heard about Bloom Impact from a friend, he downloaded it and applied for a short-term working capital loan - with the funds, he has now opened the 2nd shop and hired 2 more people to work at that location. We're thrilled to be helping hardworking business owners like Frank thrive and create job opportunities for others. 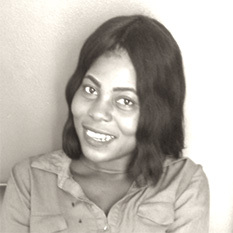 Meet Sarah, our newest team member - she joined us in January 2018 and brings spot-on experience from previously helping SMEs apply for financing and providing customer support for mobile money solutions whilst at Tigo. 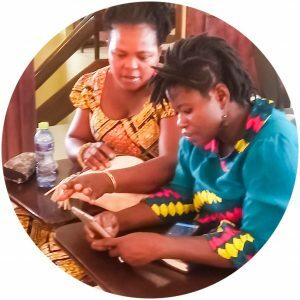 Sarah has quickly added value to our growing field presence in Ghana, driving adoption of our app amongst MSME owners, especially women entrepreneurs. She's also helping provide needed customer support to business owners that have questions as they use our App, especially in educating them on what's important to build credit eligibility. Copyright © Bloom Impact P.B.C.